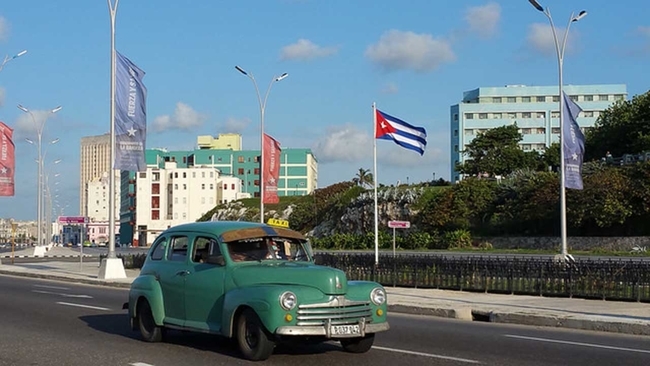 A senior official confirmed earlier today that government representatives will travel to Cuba next week to begin a review. The news come after another unexplained illness among its embassy staff. The Canadian senior official said it is too early to say what steps might be taken but did add that all options are on the table. There aren’t much details on the latest illness but the Canadian government will begin looking into it next week. Canada’s embassy staff has seen several incidents since 2017. In previous incidents, diplomats and family members have been affected by a mysterious illness. The symptoms include headaches, nausea and dizziness. The incidents have been reported on the US side as well. Investigations have not been able to find what’s causing the people to fall ill. The department has said that the person who is ill reported the symptoms during the summer. That person underwent tests shortly after and the condition was confirmed. There is no confirmation on what is causing the people to fall ill. It was initially believed that it was a sonic attack. The US, Canada and Cuba have been investigating to find the cause. Earlier this year, Canada announced that diplomats in Cuba would not be accompanied by dependents over the recent incidents. The investigations continue but the RCMP has not commented on the recent incidents or what it has found so far. A Canadian official said earlier today that the government of Cuba has been co-operating from the beginning. The official added that Cuba has expressed their desire to get to the bottom of the cause. Reports on the incidents began surfacing last year. At the time, it was reported that US and Canadian diplomats had fallen ill. Global Affairs said at the beginning of the year that a total of 27 people had undergone testing. In October 2017, the US decided to expel 15 Cuban diplomats over the incidents. The US said at the time that it had made the decision because Cuba had failed to protect its diplomats. The announcement came shortly after the US decided to reduce its staff in the island. The Cuban diplomats were given seven days to leave. The attacks affected US diplomats as well as some of their family members. Reports revealed that a total of 21 people had been affected. Canada later revealed that at least five diplomats had also been affected. The attacks were rumored to be from sonic devices but investigations have not been able to confirm that. Reports also say that sonic devices are no longer suspected to be the cause. Rex Tillerson, who was the US Secretary of State at the time, said that the decision was made over Cuba’s failure to protect the diplomats. Cuba has repeatedly denied any involvement in the incidents. Mr. Tillerson also said in the statement that the US would continue to have diplomatic relations with Cuba, adding that they would continue co-operating during the investigation. The US and Cuba reopened their embassies three years ago. The move came when diplomatic relations were restored between the two. The department has confirmed that the person recently affected is getting the necessary medical attention.